I went to the doctor yesterday. I don’t really do that, go to the doctor I mean. I’m more of a “I’m just gonna wait out this cold/cough/congestion thing. I’m sure it’ll pass soon.” kind of girl. For the most part, that has worked out pretty well. But I also have high blood pressure (maybe more on that later :/ and I needed a refill on my meds. Did you know they won’t just hand you medication at the pharmacy, even if you tell them you REALLY DO NEED IT!! So, I made my appointment and went. The doctor was surprised I hadn’t had a “wellness” exam in like three years. (oops!) So they made me pee in a cup (as well as a few other equally dignified procedures). Is it weird that this cup had the same kind of lid as one of those disposable coffee cups? You know, the kind with the flip up lid for when you want to take a sip. Why? What would I need that for? 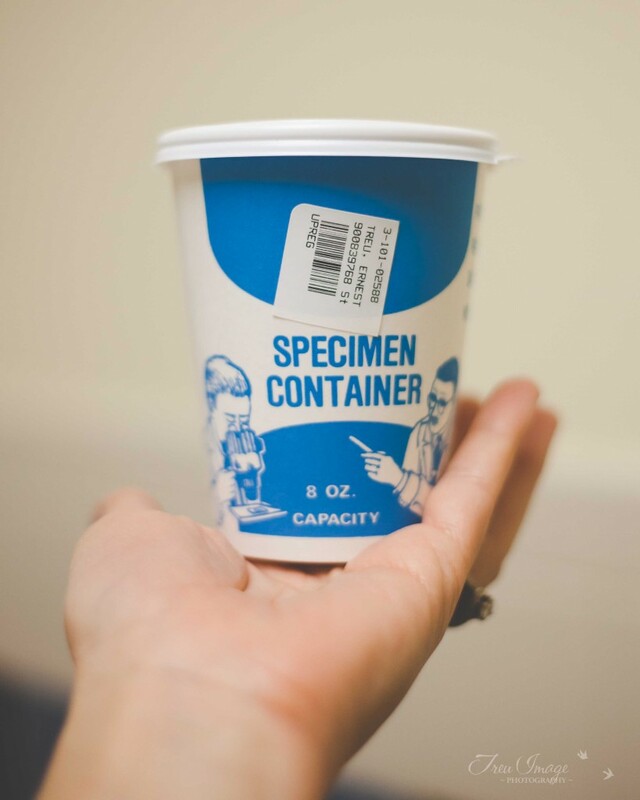 I never know how to hold a “specimen container.” Do I hold it like a regular cup? Like I’m going to take a drink? Again, not helping with the flip up lid. I love the picture of Groucho Marx bossing around the scientist with the microscope :) And of course he’s a scientist; he has a microscope. Also, is the “8 oz. Capacity” label really necessary? Really? Maybe it’s just me, but I’ve never even come close to maxing out one of those cups. Okay, all in all, I think everything went well yesterday. Got my wellness exam (aka let the lady in the white coat get SUPER friendly with you), I peed in the cup, and got a refill on my prescription. When I left the doctor’s office, I started to think about how good medical care is readily available to my family and I when we need it. That’s not the case in much of the world. Sometimes I get stuck in my bubble and forget that so many people go without things that I truly take for granted. I can honestly say that I’m not worried about what would happen if one of us got sick or even if one of the kids fell and broke a bone. We would just go in and get it taken care of, no brainer. Not every parent has this luxury. I’m not sure what to do about that, how to help. I know there are many many organizations working to help people with even basic necessities all around the world. Maybe for me, it starts with being aware, and remembering to be thankful. There are tons of places in the Bible that talk about God’s heart towards those in need, those who don’t have a voice. They are close to his heart and He calls us to reach out and care for them, to love on them in His name. I need to pray about what that looks like in my life. What about you?